This design was part of the original series of forty-eight designs completed by October 1931 and was also included in later reprintings. The example images were taken with different cameras. However, Version III copies typically do differ somewhat in printing technique and ink color from earlier version copies. There are three different background treatments. 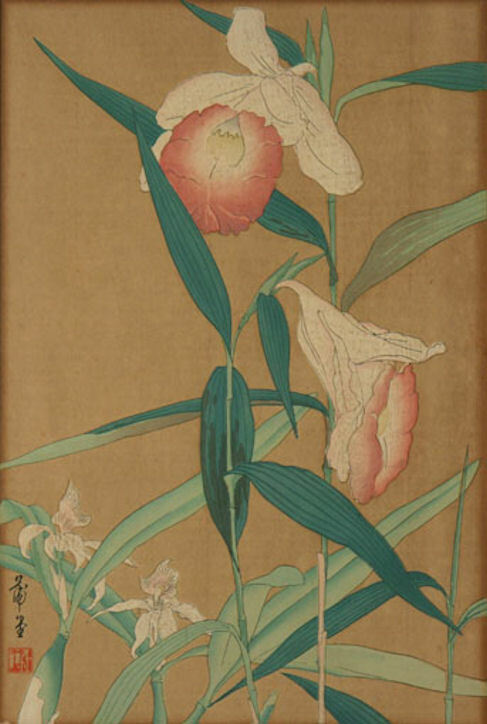 The lower background in versions I and II is a very pale green, overall bokashi. Later variants either substitute a limited pale gray bokashi at the bottom only (lower left), or an uninked background (lower right). 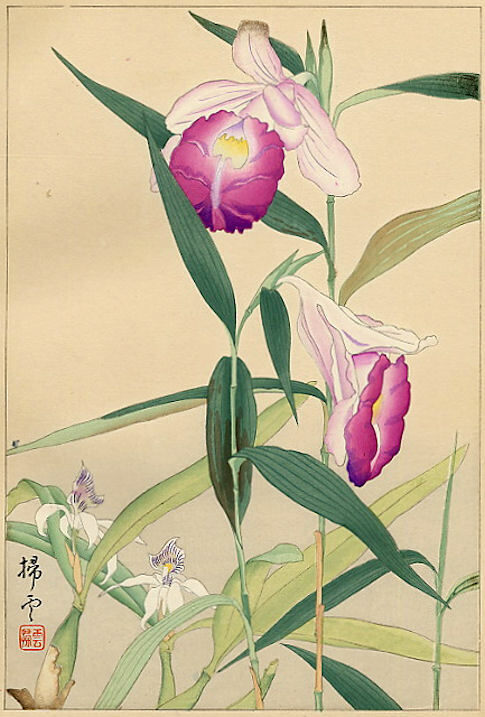 Unfortunately, the example at lower right has been margin-trimmed, the originally pale creamy white paper is badly toned, and the colors (especially the purples) are significantly faded. The silhouette of wf21 is also used as the overlay element in a supplemental set design, wfx15. 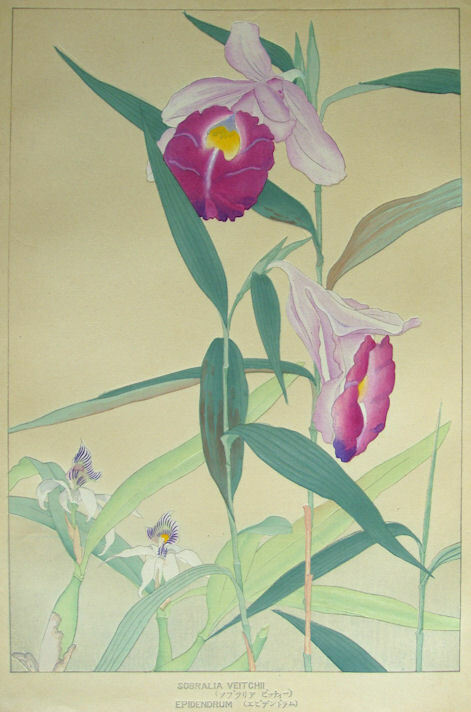 These two orchid prints are among only three prints in this series which list more than one species in the title-caption. The other orchid is an as yet unidentified species of Epidendrum.